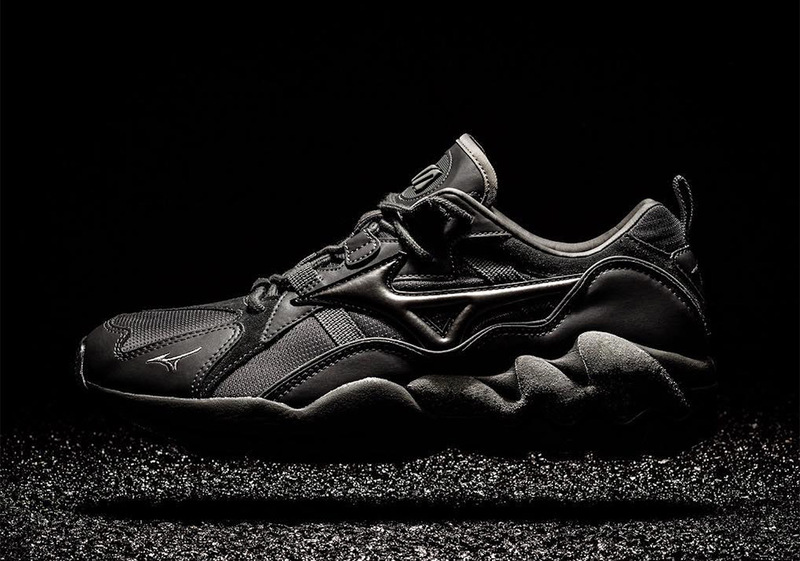 Carving out their own spot in today’s lifestyle market alongside heavy hitters the likes of adidas and Nike, Mizuno’s Wave Rider 1 OG silhouette has helped the brand stay relevant in an overcrowded space. After hitting retailers in a number of colorful creations, a time-tested Triple Black aesthetic is next up to entice consumers who prefer to keep their footwear choices simpler rather than loud. Allowing for this model’s wavy construction to garner most of the fanfare, its slightly luxe look comes composed of varying materials like mesh, leather, and patent leather adorning multiple elements throughout its layered upper. Overseas retailers the likes of atmos are currently reporting a January 19th release, so grab a detailed look below and keep it locked for Stateside updates.